Engine mount motors are basically propelling motor units that can be mounted to the cavitation plate of an outboard motor. These mount trolling motors are great in terms of saving space. Depending upon the requirement the motor can be attached to stern as well as the bow. Engine mount motors provide great thrust to propel the boat forward. Thrust and motor direction can be controlled with the help of a wired remote and the boat can be steered either by wheel or by hand. The motor uses 12 volt deep cycle battery for power. Engine mount trolling motors are especially great for fishermen who long for a productive day by catching loads of fishes. These motors simply allow you to be at ‘the right place at right time’ meaning you get to be at a spot where the chances of getting a wide variety of fishes are maximized. When it comes to saving space, engine mount motors are the best. However, it is more difficult to control a boat with engine mount trolling motor than the one with bow or transom mount motors. Additionally, these motors are quite expensive as compared to the bow or transom mount motors. Engine mount motors work best when the outboard cavitation plates are submerged 13” below the water line. Bear in mind, that if this distance is even an inch less- say 12”- you are likely to run into performance problems. This distance prevents the trolling motor cavitation, which causes enough noise to scare away the fishes and also results in reduced power. Engine mount trolling motors are best for dual purpose boats. With these engines you can go for fishing trip and also use your boat for recreational purposes. There are a number of brands available in the market that manufacture engine mount trolling motors. 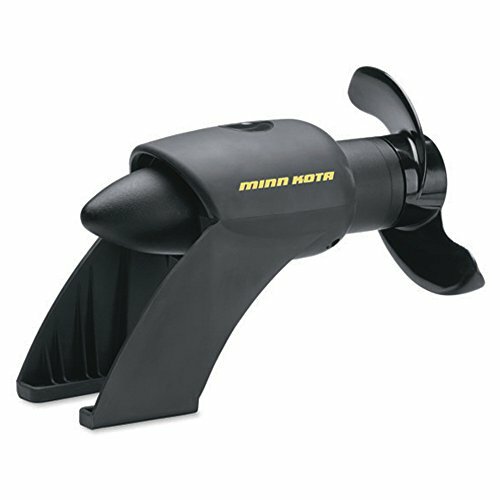 Minn Kota is one of the leading manufacturers when it comes to boat accessories. Here is the review for two of the best engine mount trolling motors by Minn Kota. The best thing about this motor is that it remains hidden under water. Thus you get the speed of an engine trolling motor without having the unsightliness of looking at one! This motor is recommended for fishing boats up to 21’. Although the motor itself weighs 55lbs, yet it can easily propel boats weighing as high as 2,750lbs. 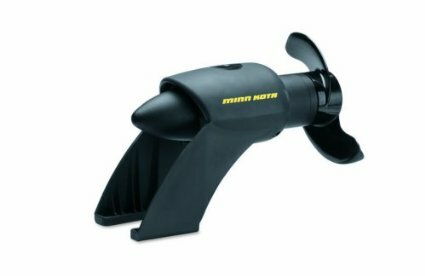 The motor easily attaches to the outboard engine with the help of a fixed mount. It does not have a shaft like traditional trolling motors and works only in fresh water. This motor can be used for dual purpose of recreation as well as fishing. It can easily fit a 22’ boat that weighs up to 5,000lbs. The motor itself weighs 101lbs and hence its name. The motor has variable speed that can be adjusted with the help of a wired remote. A digital maximizer has been installed in order to extend run-time. Composite shaft has a life time guarantee and would not corrode, break or kink.